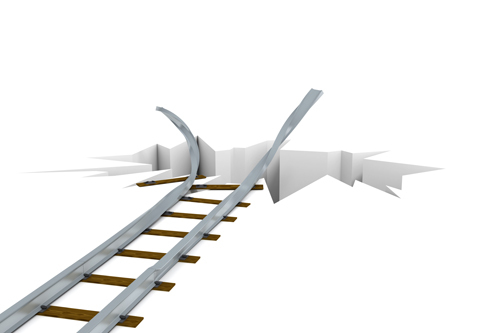 One of a project manager’s greatest challenges is keeping the project “on-track.” Many forces conspire against meeting this goal. To overcome these challenges, the project manager should plan for success early—even before the project completes initiation. Scope creep is probably the most common cause of project delay. Scope creep enters projects through visible and invisible channels. Visible scope creep occurs on projects where there is a change management process but it’s not effective a corralling scope; invisible channels are informal agreements to change scope without approval. Projects without a formal change management process are fully exposed to the risk of scope creep. These projects have no formal mechanism for managing the change, the impact to the cost or duration, or whether the change is necessary. Even projects with a formal change management process often do not effectively aggregate the impact of the changes. In other words, change requests are evaluated based on their individual merit but the impact of all changes may not be fully evaluated. Good change management processes frequently have an asymmetric bias because it is easier to add scope than it is to remove it. Adopt the Agile mindset of time-boxed development over fixed-scope. Most traditional projects start with a fixed scope. Duration becomes a function of scope—more scope means longer projects. In market-driven companies and on Agile teams, duration is fixed and scope changes to complete the project within that window. Time boxed development may be a significant cultural shift for many organizations. Having non-negotiable deadlines creates a laser-like focus on priorities, scope, and effort. When I worked in telecommunications, I managed the revenue reporting systems, which were at the end of implementation and value chain. We had quarterly releases; order-entry would implement in month 1, billing in month 2, and I had to be ready to report the revenue in month 3. There was no option to extend implementation once we started taking orders. Most projects support multiple business objectives. Different business units may sponsor the project, or even within a single unit there may be many desired outcomes. To be successful, the project manager should request that the sponsor(s) explicitly articulate their objectives and their priorities. The project scope should be sufficiently detailed and differentiated so that trade-offs can later be made. In an Agile context, the requirements are the backlog of user stories, which are regularly groomed (reprioritized). Well-disciplined organizations prioritize scope and use it as a powerful lever in controlling project execution. I have managed many projects where priorities were not clearly defined and disproportionate effort was expended developing functionality of limited value. I once built a financial reporting application where the users required email notification when data was loaded. Developing this functionality extended the duration of an already late project. When the application was finally delivered and the users started receiving hundreds of notifications, they quickly requested this function be disabled. Ensure that incentives and accountability for keeping the project on-track are aligned for success. At face value, this sounds easy—everyone wants the project to succeed. But are the definitions of success aligned and are the incentives across the stakeholders consistent? And, if the incentives and accountability are different, are these differences known and understood? Often business and technology organizations have different objectives and incentives. The business may be focused on time-to-market. Technology teams may worry about maintainability and sound operations. Even if the organizations have similar objectives, are they the same? When establishing the project charter, ensure that roles, accountability, incentives, and decision-making power are aligned for success. A transparent culture is a necessary, but not sufficient, condition for success. In these cultures, issues and problems are openly discussed and effectively resolved. This helps ensure that the best decisions are made, and made quickly. In an open culture, business sponsors regularly discuss priorities and tough trade-offs. Technology teams openly debate the benefit of adherence to standards versus speed. Too often organizations are not open and transparent. Disagreement is discouraged and important negotiations are avoided. To to be successful, teams must feel comfortable raising and discussing issues that can delay the project. Organizations that resolve issues quickly have a competitive advantage over those that labor over decisions. Progress and status reporting is the lifeblood of effective project management. One of the most fundamental project management functions is tracking the execution of tasks and the completion of milestones. The primary reason for monitoring execution activities is to answer the question: “Is the project on track (on schedule)?” Project managers should concentrate their oversight activities to address this question. There are many ways a project can go off track. Keeping a project on track requires organizational and individual discipline. The most important factor to staying on track is establishing timely delivery as a shared goal for all.